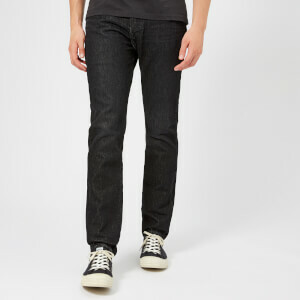 Levi’s 502™ regular taper jeans with a regular fit through the thigh and a tapered leg. 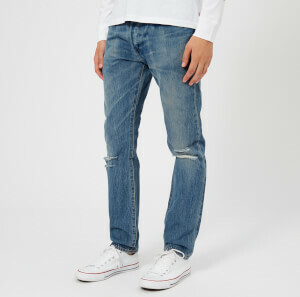 Crafted from stretch denim, the men’s 502™ blue jeans have a subtle faded finish throughout. The five-pocket jeans comprise a zip fly with a top button closure, copper coloured rivets and contrast coloured topstitching. Complete with signature arcuates and a red Levi’s tab to the rear pockets, belt loops and the iconic Two Horse® leather brand patch to the rear waistband.